We are very pleased to have acquired the services of an excellent selection of keynote speakers for KES2011. The speakers and the titles of their talks are shown below. In this talk, I will propose a new social intelligent infrastructure which is called Symbiotic system. The aim of the system is to totally manage social resources which serve for mobility, energy supply, distribution, buildings, water, food, health care, education, and so on. Additionally, human activities must be considered as important elements of social resources. The system consists of the three parts such as monitoring resources, dissolution and re-bundling, and feedback to social resources. Especially promotion of human activities should be combined with control of other resources in order to reduce adverse effects on the natural environments. Information presented to each user is dynamically changed accordingly to his/her estimated profile, tendencies of his/her behaviors, and extracted status of a real filed around him/her. We will demonstrate some prototypes for energy management, traffic control, and regeneration of an aged community. Dr. Keiji Yamada is the general manager of C&C Innovation Research Laboratories, NEC Corporation, an affiliate professor of Nara Institute of Science and Technology, and a co-director of Research Centre for Computers, Communication, and Social Innovation of La Trobe University, Australia. He received the B.E., the M.E., and the Dr. Eng degrees in information science from Kyoto University in 1982, 1984, and 1987. In 1987, he joined C&C information Technology research laboratories, NEC Corporation. From 1990 to 1991, he was a visiting professor of Computer Science and Engineering Department, University of California at San Diego. He has been serving several academic societies as board members and international conferences as general chairs or financial chairs. His research interest covers knowledge processing and human communication based on pattern recognition, computer vision, artificial neural network, machine learning, human interaction, intelligent network, and socio-technology. 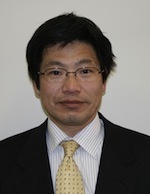 He is a member of the IEEE, the IEICE Japan, the IPSJ, and the Japan society of Future research. Driven by new technologies, e.g. the success of mobile devices, social networks on the internet and new business analytics capabilities, the way companies create value changes and has to change rapidly. New social ways of sharing information are the foundation of new, smarter ways of working: Information exchange changes from selected push in hierarchical organisations to self organized pull in more network-like organisations - from documents and e-mail to social business tools. Activity streams, embedded experiences, smart filtering, etc., all based on open standards, allow to re-simplify the workplace of the enterprise user, largely independent on the device s/he wishes to work with. The outcome is a much better informed employee - much to the benefit of the success of the company. Dr. Peter Schütt is Leader Social Software Strategy & Knowledge Management in IBM Germany GmbH. In this role he consults industry leaders in northern Europe on Social Business and Enterprise 2.0 strategies and adoption methodologies, and topics such as Smarter Work, the IT based Workplace of the Future, Collaboration, Innovation and Knowledge Management. His articles and interviews in business and IT press draw a lot of attention. In particular, he is a regular author in the German bi-monthly manager's magazine "wissensmanagement". After the success of his first book on Knowledge Management ("Wissensmanagement"), published in 2000, he is currently working on a book on Social Business. He acquired a PhD from the University of Hamburg in Physics, and during his studies, was a visitor at CERN in Geneva, CH, for 2 years. Peter is living in Stuttgart, Germany, is married and has two children. While designing many industrial systems, often we need to minimize the required number of sensors at least for three reasons: to reduce the cost of the system, to reduce the cost of decision making, and to honor physical constraints imposed by the specific application. For example, we may not be able to equip an "intelligent welding robot" with too many sensors because of the constraints on the welding environment and the limited available time for decision making. Hence, sensor selection, a generalization of feature selection, is a very important problem. We shall discuss two connectionist schemes that can simultaneously select the useful sensors (and hence features too) and learn the relation between the input and output. The effectiveness of the systems is demonstrated with a few applications. We argue that the proposed methods can discard bad / derogatory sensors and "indifferent" sensors, and thus eliminate their effect on the system's output. Such systems are also found to discover interesting, sometimes unexpected, relations. A unique characteristic of these schemes is that they look at all sensors/ features simultaneously and thereby can account for subtle nonlinear interactions between sensors/features as well as the interaction between the tool used to solve the problem and sensors/features. Unlike conventional methods, our systems do not require to evaluate various subsets of features/sensors. The proposed schemes can deal with both function-approximation type and classifier-type systems. For any practical system, some redundancy in the set of features/sensors is desirable to account for measurement errors and other uncertainties. Thus a feature/sensor selection scheme should allow some (but not too much) redundancy in the selected set of features/sensors. For this we generalize our system so that they can select useful sensors/features with controlled redundancy. Nikhil R. Pal is a Professor in the Electronics and Communication Sciences Unit of the Indian Statistical Institute. He has served as a Chair Professor at the National Chiao Tung University, Taiwan and as a visiting professor of other universities/institutes. He has coauthored, edited/co-edited several books. His current research interest includes pattern recognition, dimensionality reduction, fuzzy sets theory, neural networks, evolutionary computation, and bioinformatics. He has served/been serving on the editorial /advisory board/ steering committees of several journals including International Journal of Approximate Reasoning, International Journal of Knowledge Based Intelligent Engineering Systems, The International Journal of Hybrid Intelligent Systems, Iranian Journal of Fuzzy Systems, Neural Information Processing - Letters and Reviews, Fuzzy Sets and Systems, International Journal of Intelligent Computing in Medical Sciences and Image Processing, Fuzzy Information and Engineering : An International Journal, International Journal of Neural Systems, International Journal of Sensor Networks and Data Communications, IEEE Transactions on Fuzzy Systems, and the IEEE Transactions on Systems Man and Cybernetics-B. He has served as the Editor-in-Chief of the IEEE Transactions on Fuzzy Systems for six years (2005-2010). 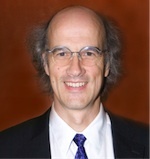 He is a member (2010-2012) of the Administrative Committee of the IEEE Computational Intelligence Society (CIS) and is a Distinguished Lecturer of the IEEE CIS. He has given many plenary/keynote speeches in different premier international conferences in the area of computational intelligence. He was the president of the Asia Pacific Neural Net Assembly. 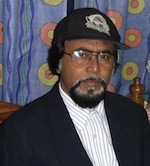 He was the Program Chair of the 4th International Conference on Advances in Pattern recognition and Digital Techniques, 1999, and was a co-program chair of 2005 IEEE International Conference on Fuzzy Systems and 2006 IEEE International Conference on Fuzzy Systems. He is the General Chair of 2013 IEEE International Conference on Fuzzy Systems that is going to be held in Hyderabad, India. He was the General Chair of 2002 AFSS International Conference on Fuzzy Systems, 2002 and the 11th International Conference on Neural Information Processing, ICONIP 2004. He is a Fellow of the Indian National Academy of Engineering (FNAE), Fellow of the National Academy of Sciences, India (FNASc. ), Fellow of Indian National Science Academy (FNA), Fellow of the International Fuzzy Systems Association (FIFSA) and a Fellow of the IEEE, USA (FIEEE). Many of today's challenging issues will profit from improved knowledge management and information sharing among the individuals and organizations involved. Furthermore, recent technological developments have opened new opportunities for large-scale information acquisition and processing, for integrating physical goods with their specific information shadow, and for combining human interests and computer systems into new networks of intelligent services. In this talk, agricultural crop production is used as an example of a domain where a variety of actors, both public institutions and individual workers, will profit from improved knowledge management: Detailed information about local characteristics of the soil and the production history, together with grown and scientifically-supported expertise as well as the experiences and actual observations of farmers, workers and agricultural service providers help to reach optimal decisions in all production steps, thus contributing to better food quality, increased harvests, sustainable production, and better environmental protection. Public organizations can collect and provide relevant data, e.g. geo information, on a cross-organizational level. If individual participants can be convinced to contribute selected private data in order to allow for e.g. regional agricultural consultation services, all parties involved will profit from this intensive exchange in mutual win-win situations. Consequently, the integration of individual and decentralized data sources via semantic technologies, the goal-specific collection and evaluation of sensor network data, the social exchange within actors' shared information spaces, and the information organization around universally-accepted fixpoints and shared conceptualizations is presented as a promising road towards useful knowledge support in large, even international, collaborative settings. Dr. Ansgar Bernardi is deputy head of the knowledge management research department at the German Research Center for Artificial Intelligence - DFKI GmbH. He has successfully conducted numerous research projects on learning organizations, knowledge management, distributed organizational memories including annotation of documents and shared development of ontologies, and their application in industrial settings. Ansgar Bernardi was co-ordinator of the EU-funded project NEPOMUK which developed the Social Semantic Desktop. He is now the co-ordinator of the German iGreen project which realizes public-private knowledge management in the agricultural domain. Urban Management for the benefit of citizens, administration, and business Cities and communities form the nucleus of our modern society. Challenges for agglomerations include the supply of energy and water, transportation, healthcare, and security. Based on information and communication technology urban management enables citizens, local governments, and business actors in cities to collaborate and at the same time enhance cross-departmental processes within local governments in an effective and efficient way. In the global and knowledge based economy, metropolitan areas are the most important centers for production and consumption. Cities are now entering a new phase of development characterized by a strong focus on sustainability, environment, and citizen needs. This creates enormous challenges and opportunities. In order to address the issues coming up in metropolitan areas urban management has to provide holistic solutions. Information and communication technologies are expected to play a leading role in this development. Knut Manske is responsible for research on urban management including public security. He established SAP Research Darmstadt. 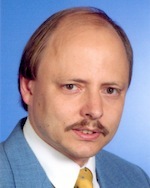 Knut Manske holds a PhD from the University of Linz, Austria, in the context of multimedia and HCI and received his diploma in Computer Science from the University of Karlsruhe with a focus on Computer Graphics, Human Computer Interaction, and Parallel Computing. 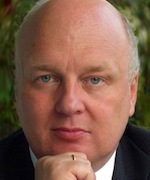 Knut Manske is member of the ACM. Prior to joining SAP, Knut Manske was Technical Director of a Software Engineering company who developed solutions for embedded appliances, smart vending, mobile business solutions, and kiosk systems. The talk gives an application-oriented view on implementing and maintaining process-oriented information systems using a model-driven approach. It presents results of the project HERA (Helvetic E-Government Reference Architecture) which has developed a support system for cross-organisational e-government processes. A detailed analysis of e-government processes revealed their strong collaborative character and resulted in a set of requirements for a support system. The HERA project has also shown that instead of implementing each cross-organisational e-government solution from scratch it is advisable to develop a generic framework to be configured with application-specific aspects via a model-driven approach. The talk discusses how this has been achieved in HERA and how this approach can be adopted for application areas other than e-government. Prof. Dr. Ulrich Reimer studied computer science and received his doctorate in 1987 at the Infor-mation Science Dept. of the University of Konstanz with a thesis on formal ontologies for natural language understanding. From 1987 to 1991 he was assistant professor at the University of Konstanz before becoming the head of the IT R&D group of Swiss Life, the biggest life insurance company in Switzerland, in 1991. In his 10 years at Swiss Life he was responsible for large-scale research projects in the areas of Semantic Web, knowledge management, data mining and e-tutoring. Subsequently he joined an IT and consulting company where he was working on enriching web-based information systems with Semantic Web functionality. 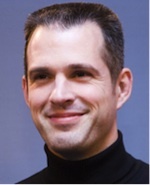 In 2005 he changed to his current position at the Institute of Information and Process Management at the University of Applied Sciences St. Gallen where he is responsible for applied R&D. His current research activities include semantic technologies, knowledge extraction from texts, knowledge management, and model-driven information systems.